This Cambro CP12148 1.2 qt. 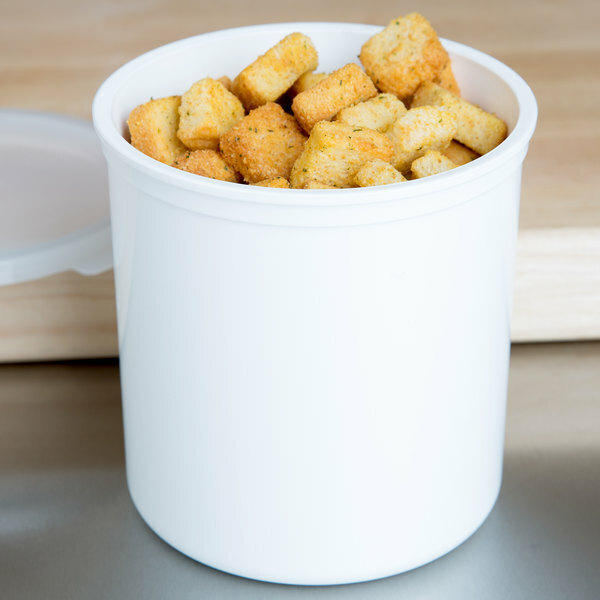 round white crock is a must-have addition to salad bars, buffet tables, or cold food stations. 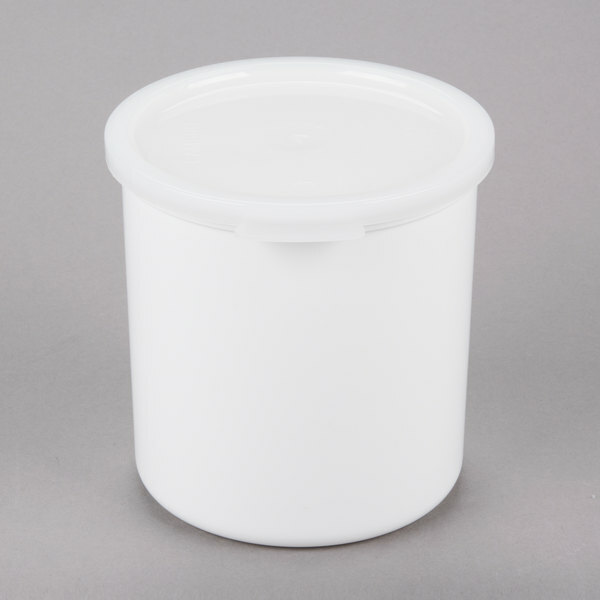 Made of high-impact, FDA approved polypropylene, it resists stains and odors left behind by vinegar, salad dressings, or salad oils, so there's no unwanted residue after use. 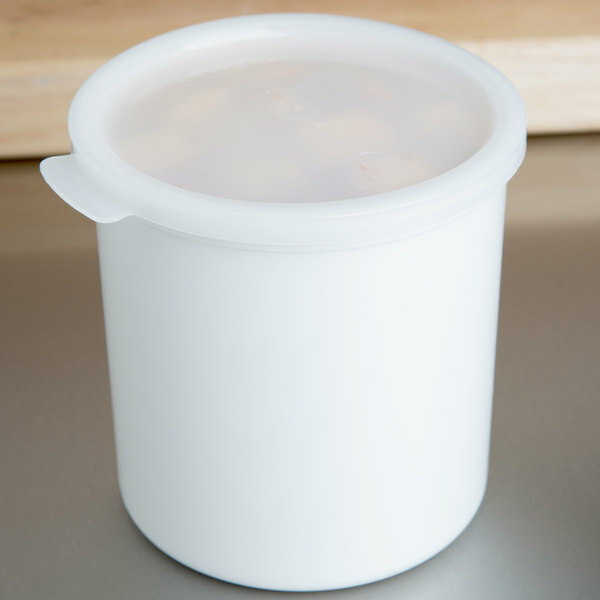 This helps prevent cross contamination in a busy kitchen, and it keeps your crock looking clean and professional, even after many uses. For extra versatility, this crock can withstand temperatures between -40 and 160 degrees Fahrenheit! Requires 4 7/8" diameter cut out for use in salad bars.